FUMC’s original Pipe Organ (Opus 1267) was built in 1924 by the Austin Organ Company. In the 1960’s the organ was re-built by the Austin factory and was altered to be in line with the Organ Reform movement brought about by E. Power Biggs. 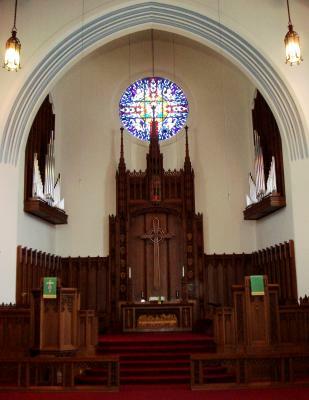 To compensate for the re-scaling done to the instrument in the 60’s, Triune Music added nearly 20 ranks of unenclosed pipework and a state-of-the art, Five-Division Console that includes a world-class midi system which allows the church an extensive amount of variety for worship and for their weekly radio broadcasts.